Happy New Year! Hope you all had a fun and safe NYE! If you follow me on Snapchat (@mallorysauer) or Instagram (@mallorysauer), then you already know I was at a wedding. It was a ton of fun. What did you do? I'd love to hear! A new year means a fresh new start. For me, this next year I'm really going to focus on my health and make sure I'm as healthy and strong as I can be. What resolutions have you made? 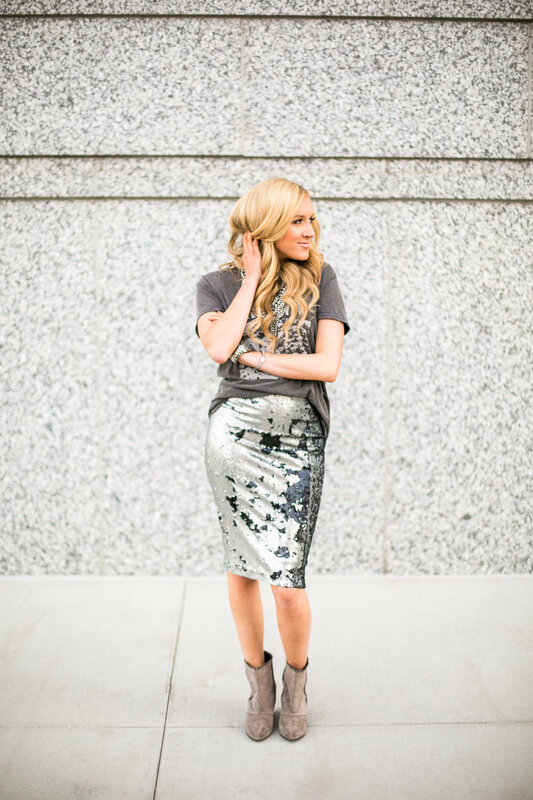 Ok, so you bought a sequin skirt that you just fell in LOVE with, wore it with a matching fun top for New Year's and just looked killer. Maybe the skirt was a steal, or maybe you spent a minor fortune on it and now have no idea what do you with your festive purchase, or how you will ever wear it again. Well, I am here to provide you with an idea. I got this skirt from Rustic Thread. It was one of those skirts where I saw it and instantly fell in love. I knew I would wear it over the holiday's so I went for it and took the plunge. But no way did I want this baby to live once in a holiday photo and that's that. I've been playing around with fun ways to wear this (and doing my fair share of Pinterest stalking for ideas) and just LOVE pairing it with fun tees, especially graphic tees. 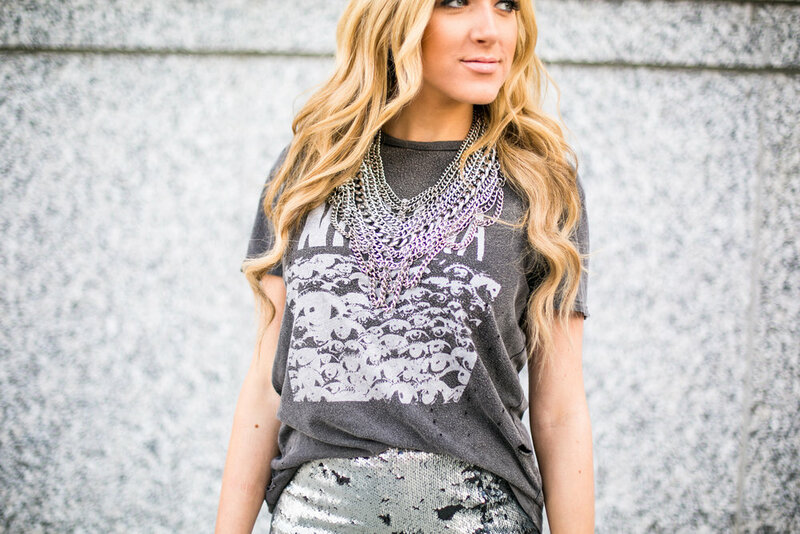 This graphic tee is distressed which is such a fun contrast to the sequins. I think simple tee shirts really dress this skirt down - I've even paired with sneakers to go one step further. 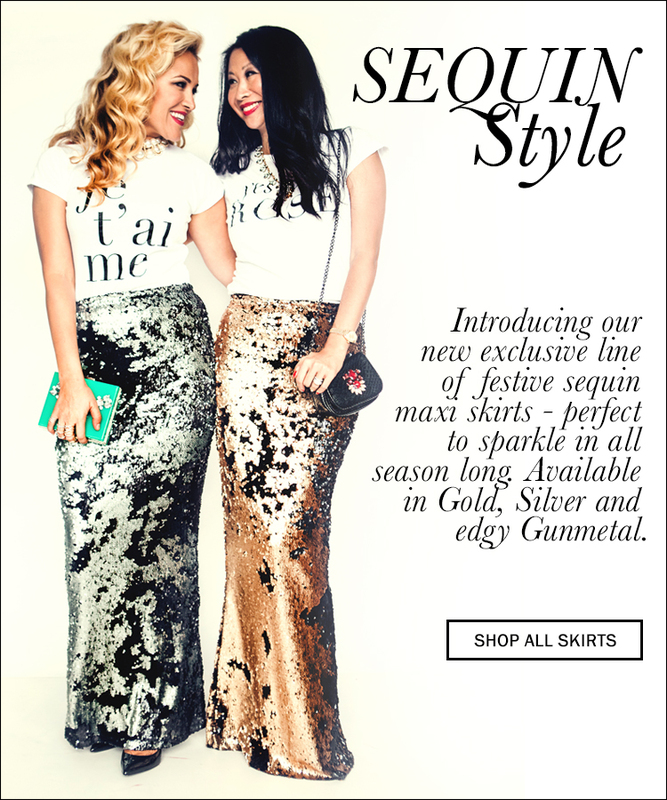 I've also worn a denim shirt with this skirt and sequins joggers for another fun combo and outfit option for my festive sequin pieces. It's fun to mix unexpected pieces for a different look. What fun ways have you mixed up or re-worn a festive piece such as this?